Lunch includes a sandwich (chicken, beef or veggie), chips or granola bar, fruit, and a cookie or brownie. Register for lunch now and CNGA will contact you for your sandwich preference. To make additional event registrations under one payment, click "Add Guest" at the bottom of the next screen. This workshop will help you plan for your fall projects. 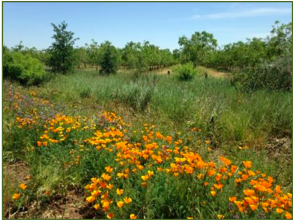 This full-day classroom course is designed to acquaint landowners, land managers, agency personnel, contractors, consultants, and others with proven techniques and strategies for restoration and revegetation using native grassland species. At the end of the course, individuals who are planning, implementing, or managing native grassland projects should be able to apply many of the techniques and strategies learned in the course. Registration fee includes morning refreshments and comprehensive Restoration & Revegetation take-home materials. Bring your own lunch or pre-order through CNGA. Register online or download registration flyer. Registration fee includes morning refreshments and comprehensive Restoration and Revegetation take-home materials. Bring your own lunch or pre-order through CNGA.